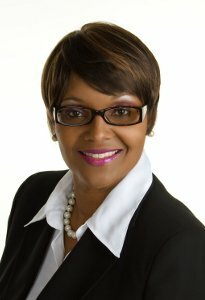 Rep. Gail Finney, a Democrat from Wichita, has created a bit of a stir in Kansas with new legislation that would allow parents, teachers and caregivers to spank children hard enough to leave redness or bruising. While most parents assume that they already have such authority, Finney is worried that physical punishment and restraint is increasingly being viewed as a form of abuse. It raises an interesting question of whether societal standards have changed to the point that the old-time spanking is now a questionable practice from a legal perspective. Notably, the bill would actually limit the number and kind of spanks allowed to parents. For the record, I grew up in a family where kids were spanked. With five kids, my mother would on occasion announce that a child would have to wait for punishment from my father when he returned from work. My father never liked it. He had been abused as a child. He would make it brief and would only use his hand — never a belt or a switch. Moreover, it was only for the most serious offenses and was relatively rare. He would stop if you cried (which I would generally start on the walk over to his chair). I have always viewed spanking as a parental prerogative but I have never done it with any of the four kids beyond a relatively light tap on a bottom in sending an errant child to his or her room. I have never seen it as necessary or warranted, though with kids ranging from 14 to 8 the night is still young as they say. 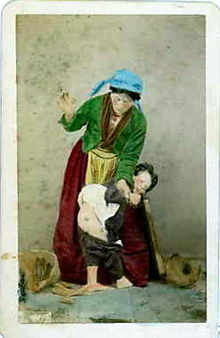 “Corporal punishment” means up to ten forceful applications in succession of a bare, open-hand palm against the clothed buttocks of a child and any such reasonable physical force on the child as may be necessary to hold, restrain or control the child in the course of maintaining authority over the child, acknowledging that redness or bruising may occur on the tender skin of a child as a result. As used in this subsection “child” includes a person over the age of 18 who is enrolled in high school. (2) a person who has written authority from a parent to use corporal punishment, including, but not limited to, a person acting as a parent or school personnel, using corporal punishment to maintain authority and to discipline a child or a person over the age of 18 who is enrolled in high school. The law notably would still make hitting a child or using a belt or switch potential child abuse. That might not go over well with some parents as regulating parental punishment. (The current law allows spanking that does not leave marks). Others may view the law as too lenient in allowing parents to leave red marks or bruising. Minnesota courts ruled spanking is not a crime while California courts cleared spanking with a spoon. Conversely, washing out a child’s mouth with soap led to the arrest to a couple. Spankings specifically have continued to occupy not just the legislature but the courts. We have previously seen criminal cases involving spanking though distinguishable factors. There was one mother declared a terrorist threat on a plane for a public spanking. We have also seen spankings ordered by courts. Indeed, one judge was accused of personally spanking inmates. These cases show highly conflicted treatment of spanking as either a crime or a parental prerogative. It also creates a sharp disconnect with other laws. For example, it would be a crime to beat or spank an adult. Yet, it is allowed by a family member with regard to a child. In England, there is a move this year to criminalize spanking. The current weight of the professional journals strongly run against spanking as a discipline as ineffective and cruel. While I do not spank the kids, I have to say that I thought it was pretty darn effective growing up. I do not recall being spanked more than a few times but they were for big ticket items. My recollection is that the waiting through dinner in anticipation of the spanking was the worst part of it. My father was a softy and could not get himself to deliver more than a few spanks with our jeans on as protection. What do you think? Is the law necessary or too lenient or too restrictive? I never feared getting spanked at school because they could only give you 5 swats through your clothes with the paddle. It didn’t hurt at all. But I knew I’d get a real whipping when I got home. That meant I’d be naked and my mom or dad would use the belt, at least 25+ swats. You better believe I had redness and bruising but those spankings did me good.